One of the existential threats to broadcast and cable television is anything involving Internet streaming. We the People are slowly but surely getting used to the idea of watching what we want, when we want. And as people get used to this technology, the idea of flipping endlessly through expensive nothing-to-watch cable packages feels more outdated by the day. When the cable and broadcast empires fall, subscriber-based providers like Netflix Streaming and Hulu will likely go down as the reason why. This is why CBS hysterically overreacted to one of its companies, CNET, naming Dish Network’s “Hopper with Sling” product of the year. 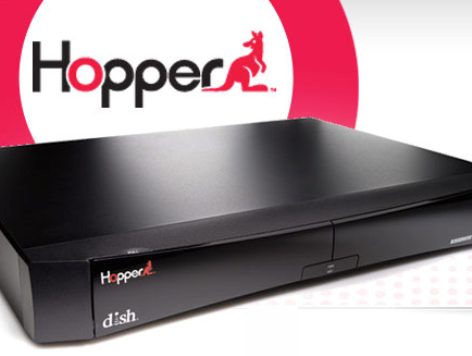 The “Hopper with Sling” allows Dish customers to record up to six primetime television shows at a time and then watch them anywhere without commercials. The “sling” technology allows you to “sling” those programs to an iPad, again without commercials. For obvious reasons, CBS is now embroiled in a lawsuit to exterminate this technology. the network is mainly freaked over the ad-skipping feature because, like most large corporations, it believes its right to hold on to a dying business model (ad-supported television) also gives it the right to control the lives of everyone else. Obviously, the Hopper is a wonderful technology and one that might even help cable and satellite companies hold on a while longer in the midst of the streaming revolution. But CBS needs to assure advertisers the customers are watching the ads, and one way to do this is to use the threat of litigation to scare off other providers from providing their own customers with this service. Last week, CNET named Dish Network’s Hopper, which allows viewers to skip primetime commercials on the major broadcast networks, as a finalist for its “Best in Show” award at CES. CNET later removed the Hopper from the list “due to active litigation involving our parent company CBS Corp.” CBS is involved in a lawsuit with Dish over the ad-skipping technology. “We will no longer be reviewing products manufactured by companies with which we are in litigation with respect to such product,” a statement at the bottom of the finalist list reads. CNET reporter, Greg Sandoval, resigned as a result. What CBS mainly did wrong was to try and cover up the fact that the Hopper had been chosen as a finalist. the Hopper had already been reviewed. The statement made it sound as though, because of the litigation, the Hopper wasn’t even considered. This is also what happens when a handful of conglomerates own everything involving news, entertainment, and communication — and when all those conglomerates pretty much think alike.